The Cocker Spaniel is one of the world’s most popular dog breeds. 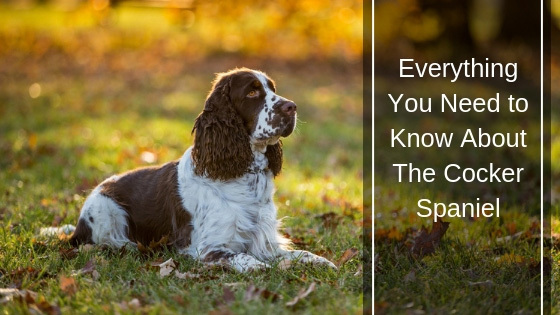 Spaniel breeds like the American Cocker Spaniel, the English Cocker Spaniel, and the Springer Spaniel are gentle, jovial, frolicsome hunting dogs with big dreamy soulful eyes and an impish personality. Plus, it has long lush ears that give it a timeless appeal. When it comes to other features, the Cocker Spaniel is the smallest sporting breed and stands at least 14 to 15 inches. The dog’s coat varies in different colors and patterns to suit your fancy. It also has a sturdy and solid well-balanced structure that enables it to move with a smooth gait. 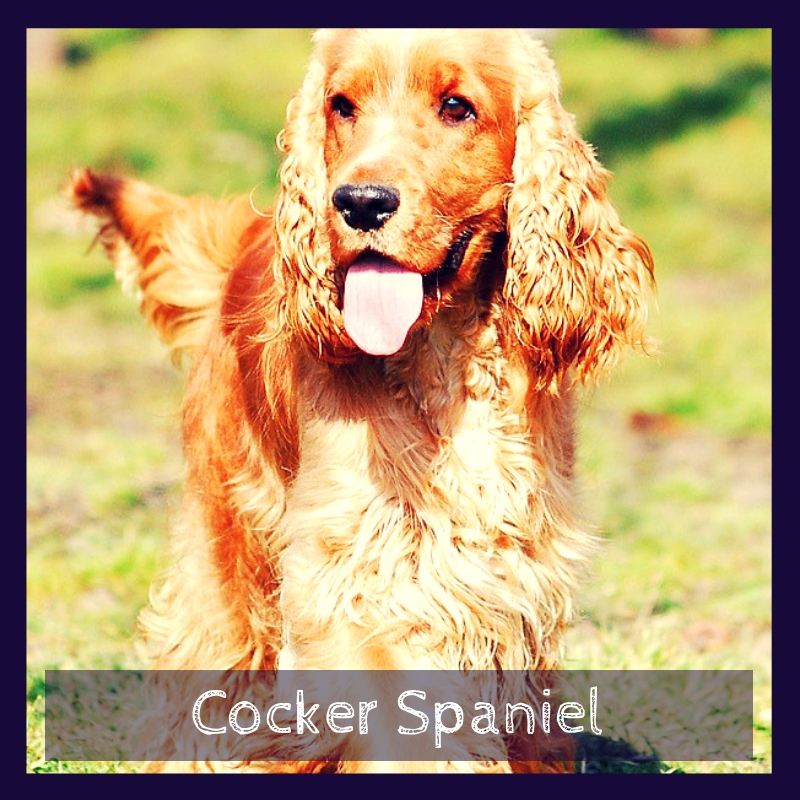 With the breed’s active and energetic nature, it’s not surprising that Cockers need all the nutritional ingredients they can get. However, selecting the best diet often involves a lot of trial and error so the key is to pay attention to the nutritional components of the foods you purchase for your do. This information is often found on the food labels. By doing so, you’ll ensure you are getting quality nutrients that your pooch needs. You could also consult your vet to find out what kind of diet would work best for your Cocker Spaniel puppies. Moreover, it is important to monitor your dog’s feeding habits by coming up with a feeding schedule that’ll monitor and regulate your dog’s food intake. This will come in handy when you want to keep your dog’s weight in check. If you are adopting a Cocker Spaniel, such as English Cockers, you are in for some grooming. Cocker Spaniels require regular thorough grooming and missed sessions may result in tangles and accumulation of dirt on the coat which you may need to remove with a professional quality slicker brush. You also need to ensure that you pick snarls apart from the tip up as opposed to pulling through them. Moreover, besides regular grooming, you have to ensure that you bathe them with dog shampoo thoroughly. Rinse and re-rinse them to ensure that there’s no soap residue left and then dry carefully with a blow dryer.In addition, you need to clean and dry your dog’s ear canals regularly and check its skin for any inflamed areas. The bottom line, grooming is an important part of the maintenance process and so, you should either learn to perform the procedures yourself or consult an expert. 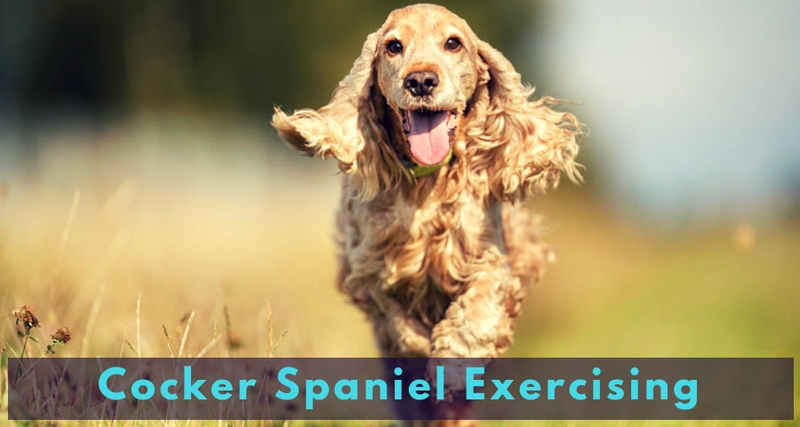 As a very active and sporty breed, the Cocker Spaniel requires lots of exercises to keep it both mentally and physically fit. Otherwise, he might become frustrated and develop undesirable behavior. For Cocker Spaniel puppies, you can start with a few play sessions and slowly progress to more advanced play sessions. Exercising options may include throwing a toy or ball away and making them fetch it or taking a brisk 30-minute walk around the neighborhood and back. If the Spaniel has a canine companion, you can encourage them to play together and by so doing, they will be exercising together. These hunting dogs are natural people pleasers and often wants to be in its good behavior to please its human. They are also generally sensitive and highly responsive to correction and disapproval so you don’t have to result in harsh training. Being a sporty breed, the Cocker Spaniel loves a good challenge and often does its best to exceed expectations in as far as following through with the training goes. Apart from engaging them in different activities, they also need to take early socialization and puppy training classes. Like other breeds, Cocker Spaniels can also be a little stubborn at times so to motivate them you can give them a few treats to snack on or use praise and rewards to liven their spirits. Can This Dog Breed Become An ESA? Cocker Spaniels make incredible companions. They range from lap size to medium size which makes them fairly easy to travel with and their gentle and jovial spirit that makes them great family pets. To be in the presence of this breed is to be caught up in a world full of fun and happy moments. You’ll agree that it most certainly doesn’t get any more emotionally supportive than that. you can make Cocker Spaniel a legally recognized ESA dog through the TherapyPet.org website here. Unfortunately, most of these conditions are not detectable in a growing puppy and sometimes freeing your pooch from these maladies is often a catch-22 kind of situation. That’s why experts recommend adopting one from a reputable breeder committed to breeding healthy animals. In addition, you have to practice proper grooming to ensure that your pooch does not fall prey to infections. And, last but not least, ensure that you learn the proper procedures required to clean your Cocker’s ear canals, especially after a bath as well as how to properly groom your dog to avoid precipitating skin problems. The Cocker Spaniel is an exceptional breed. It has big soulful eyes and a sweet expression that wheels you into loving it. And let’s not forget those long, lush ears that practically demand to be touched. As for grooming and maintenance, Spaniels have minimal grooming needs and have minimal health complications as long as you take good care of them. However, just like with other breeds, the Cocker Spaniel is quite attached to its family and therefore tends to get depressed if left alone.